Providing you with the best binary options trading service there is, the Banc de Binary June 2015 Promotions is here to complete the package. Do your trades with confidence in the Banc de Binary trading platform, while gathering plenty of chances to win a luxury trip to Mnemba and other great prizes! 1st prize – The Number One trader in Banc de Binary will win an all-expense paid trip to Mnemba, plus the option to bring three (3) other guests. The date for the trip can be chosen by the winner, according to availability. 2nd prize – The second placer in the competition will win a hefty reward as well, in the form of an Apple Macbook Air 2015. We’re certain this prize will help our second place winner to do more successful Banc de Binary trades. 3rd prize – The prizes do not end with those two great prizes mentioned above, there’s also a cool prize for the third placer! The lucky third place winner will get a state of the art GoPro Camera. You can certainly document all your exciting travels and happenings with this highly advanced camera. 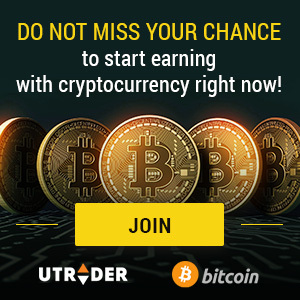 If you are interested in joining this prestigious Banc de Binary June 2015 Promotions event, you of course have to open account with Banc de Binary. It should not be a Banc de Binary Demo Account, but a Real Money account. Also, using the Banc de Binary signals could help you a great deal in landing successful trades and deals. Place your complete confidence in the best binary options broker in Europe! Trade with us Today, and don’t miss out on the Banc de Binary June 2015 Promotions. © 2016 Banc De Binary. All Rights Reserved.